Some of my fellow Schoolhouse Review Crew friends are participating in a monthly blog hop blogging on topics related to home schooling high school. This month we’ll be talking about planning. 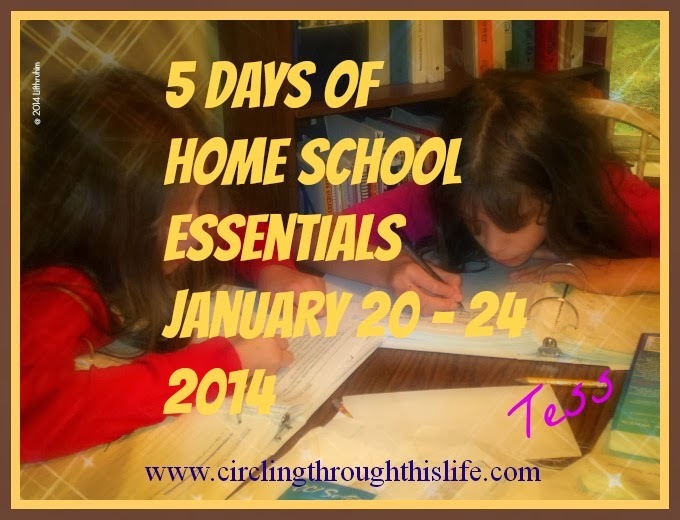 The thought of home schooling through high school overwhelmed me. What should I teach? How was I going to teach courses for subjects like Biology and Chemistry? What about a diploma? What about college? There are even more resources and helps available today than there were seven years ago as I contemplated starting high school with Boo Bear. One resource that I did not have then that I have now is High School Prep Genius. This is a book that I recommend for both parents and students to read and discuss together. In my research I discovered that home schools in my state do not have to follow the graduation requirements of the public school districts and that parents can issue a diploma. I set a standard of 20-24 credits required for graduation. This would be equal to five to six credits per year for four years. When we started mapping out high school for BooBear we knew we wanted to include specific courses in music. She also wanted to study psychology. When I looked at college requirements and college tracks I was able to decide on minimums of 3 years of Math, 4 years of English, 2 years of science, and 3-4 years of Social Studies (history, cultures, geography etc.). As she progressed through high school, we started tailoring her transcript to the specific college she was most interested in and her senior year we included courses in computer science and health. Turtlegirl’s high school plan looks very different. She’ll have her fine arts course but she’s more science oriented. She’ll have less social sciences and more foreign languages. She’ll have more computer programing and no sewing. She’s looking at 3 1/2 to four credits of Math, 1 1/2 to 2 credits of computer programming, 5 credits of English, and 3 to 4 credits of science. So how do I determine credit? It depends. I like it when a course tells me how much credit to give the student. One rule of thumb is that if you finish the course or the text it is worth 1 credit. It is worth 1 credit whether they finish in 6 months or 18 months. Another way to determine credit is how much work and how much time is spent. Is Record Keeping Important? In a word? YES! For BooBear I used Homeschool Tracker Plus. HST + is no longer offered for sale as Tracker has released an Online version. I love HST + and I loved using the transcript part of the program. With Turtlegirl I discovered My Student Logbook which is more for accountability. Turtlegirl records what she completes in the log book. We’ll need to get another one in the fall. For planning, though, I have started using Homeschool Planet from Homeschool Buyers Co-Op. I’ll be writing a thorough review of the program in mid-July but I have to say this is the first computer based planning program that has worked for me since Homeschool Tracker. I love HS Planet. For now I am planning to use Homeschool Planet for planning and grading and then input those grades into Tracker to create a transcript. I am not sure I like the look of the transcript report yet. Home schooling High School isn’t easy but you don’t have to go it alone! Read these other blog posts from my fellow High School home schooling mamas. Are you homeschooling high school? Have you home schooled high school? Maybe you are just beginning the high school years? It sounds more complicated and difficult than it is. I am enjoying the high school years. How do you calculate grades? Do you have a favorite planning tool?